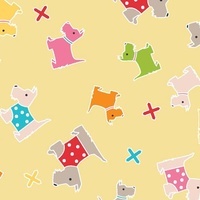 Sewing School by Jodie Carleton for Ella Blue Fabrics Scotty Dogs on yellow. 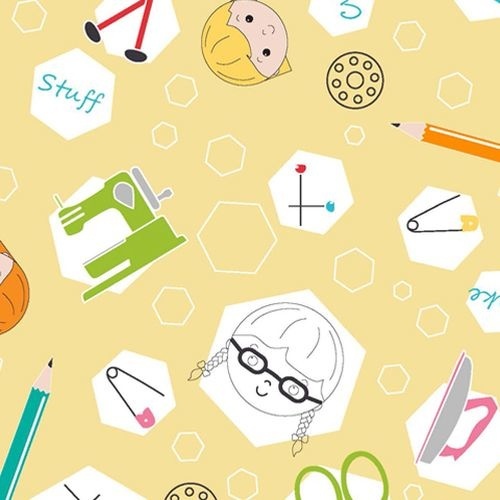 "One of Jodie’s greatest loves is teaching children to sew. 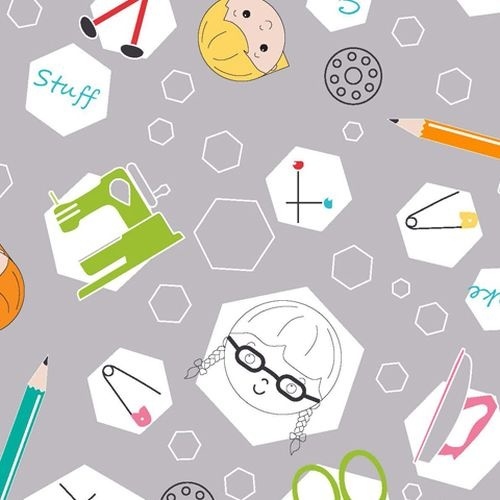 Her newest range Sewing School reflects this love and brings the sewing class to life. 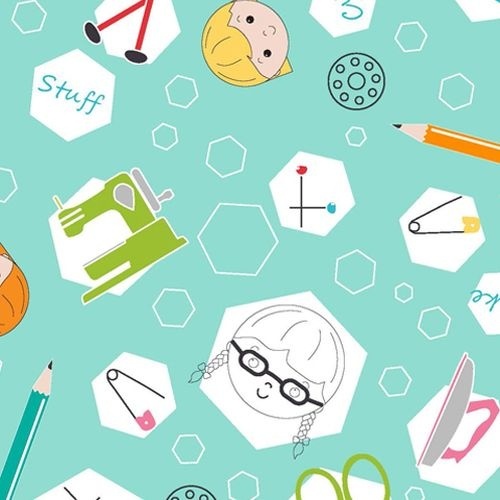 Filled with sewing machines, pins and bobbins, the happy bright fabric is sure to be a hit with makers of all ages. “My Nan had a funny looking little Scottie dog pincushion that I loved when I was a child, so naturally this range had to include Scotty Dogs”, says Jodie. 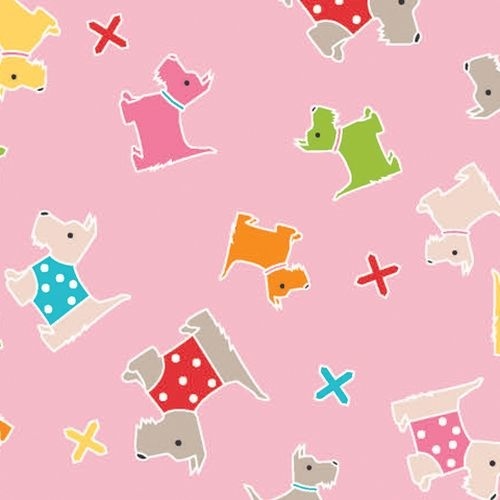 “It also contains the most used word in any sewing class – Oops !” The panel features four delightful little crafters and their Scottie dogs. The panel can be used to make softies, pillows, bags, quilts or a whole bunch of stuff we haven’t even thought of yet. There is a list of suggestions on the panel plus a free download to help spur those crafty minds into action.